It’s been quite a while since I’ve run in an Altra shoe. I like the brand, I’ve been in touch with the founders since before they made their first shoe, and I love the fact that they produce shoes that are shaped like a human foot. 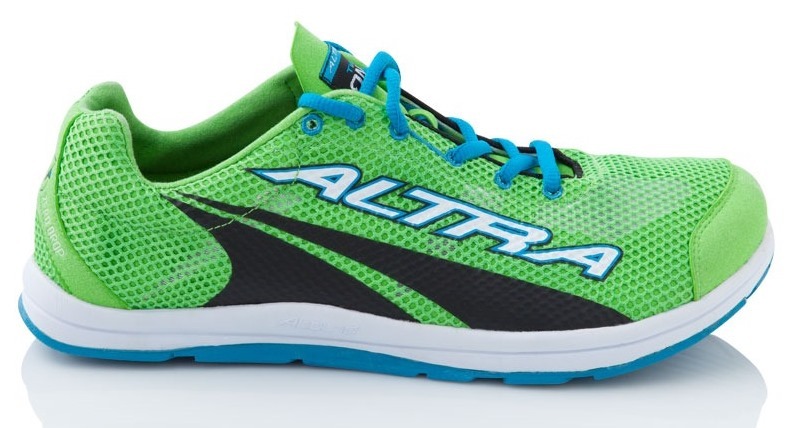 However, I’ve never really connected with an Altra shoe to the point where it’s the one I want to pull out when I go for a run. My problem with Altra in the past is that most of the shoes I’ve tried were too firm and too stiff. The original Instinct and it’s sequel (Instinct 1.5) were good examples – I enjoyed both shoes for casual wear, but the full coverage rubber outsole, firm midsole, and lack of flex grooves made the sole feel like a slab under my foot. I felt similarly about the Torin even though it was softer, and never ran much in it. Of all of the Altra shoes I’ve tried, I got along best with the Superior, mainly because it flexed better than most of the others. Altra has stirred up a bit of controversy in recent months with a move toward more cushioning in their footwear. They beefed up and softened the Instinct in version 2.0 (have not run in them, but saw a pair last week and they are very soft), they introduced the maximally cushioned Altra Olympus trail shoe, and are soon to release the maximal Altra Paradigm road shoe. Shoes like the ultraminimal Samson and Adam are no longer in production. In perhaps the biggest change, the Altra The One has been totally redesigned from a low-profile, racing flat-style shoe to a Saucony Virrata/Kinvara-style lightweight trainer. I’ve seen a lot of commentary from Altra fans complaining about the move to greater cushioning. I’ve seen others excited about the change. Personally, I’d like to see both ends of the spectrum stay in play, but I also understand that the economics of the footwear business mean that tough decisions have to be made. Shoes that aren’t selling either need to be dropped or redesigned, and this is particularly true for a small company like Altra. 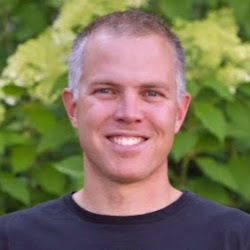 The founders of Altra believe in minimal footwear (though they are quick to say they are not a minimal company, and I agree), and if a market exists for such shoes they will be players (I’ve even heard they may have a new minimal shoe in the works). Altra’s philosophy is that if people want cushioned shoes, let’s at least give them the option of zero drop and a wide toebox – these are the features that Altra has stayed true to from the very beginning. I purchased a pair of the original Altra The One a few months ago (they were on sale at Amazon), but never wound up running in them. The fit was a bit off, and I’d heard reports about them turning people’s socks and feet green. I wound up selling them on Ebay since I’d heard rumors they were going to be replaced and putting time into a review thus made little sense. 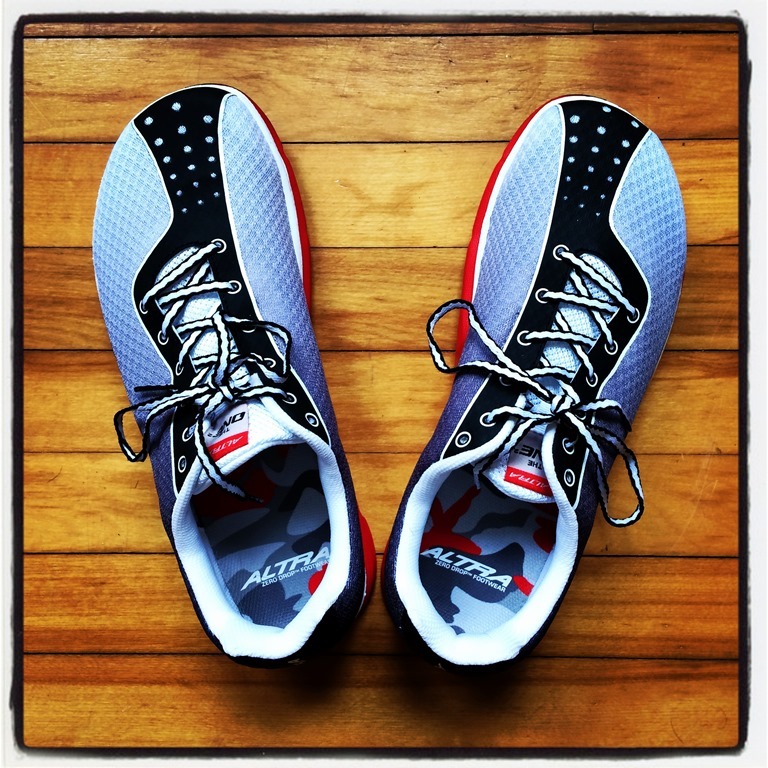 Two weeks ago I got an email from Golden Harper, one of the founders of Altra, asking if I had any interest in trying out a near-production sample of the Altra The One2 (the shoe comes out in May). I’d seen images of the shoe, and it was clear that it was going to be very different from the original. I agreed, and he sent me a pair – they arrived at my doorstep last week. My understanding is that the pair I have is not a production pair – some modifications will be made to the upper, which I’ll try to explain below. My first impression of the shoe upon taking them out of the box was very positive. Altra has come a long way in terms of aesthetics, though based on photos I’ve posted on Instagram and Facebook the response to the One2 seems to be either A) beautiful! or B) they look like bowling shoes. I fall on the side of thinking that they look great. The main differences from my pair seem to be the smaller Altra logo, and the addition of an overlay around the back of the heel. The sole appears to be identical to the shoe I have, so the difference is apparently mostly cosmetic. I’ve now run in the One2 three times for a total of 21 miles – a 5 miler, a 6 miler and a 10 miler, all on asphalt. The 10 mile run was my longest since last summer, so a good test for me. Based on these runs, I’d say this is probably the first Altra shoe I’ve worn that I’d be comfortable wearing for a marathon. Very impressed. I’m going to assume based on what Golden told me that the upper will be structurally similar in the production model (seems to be the case based on the above images). It’s a minimal upper, very few overlays, and relatively thin in construction. The material is very soft and pliable, not that plasticy material that a lot of brands are using these days (and that seems to often tear at flex points near the forefoot). The One2 has a very thin heel counter – it’s not hard plastic, but there’s just enough there to give the back of the shoe some structure. This is definitely one that I’ll be adding to my list of shoes to recommend to people with pump-bumps (Haglund’s deformity). The internal lining of the upper is very soft, almost sock-like. There is a thin insole with just the slightest hint of arch support. The upper overall is extremely comfortable. First the specs – my pair weighed in at 7.5 oz (size 10.5), and I measured a stack height of 23mm (18mm sole thickness, 5mm insole thickness). This is a zero drop shoe. When I first put the One2’s on my feet my reaction was “Wow, this is an Altra?? ?” They felt downright cushy compared to other Altras I’ve tried, and for me this is a good thing. The feel underfoot is very comparable to the Saucony Virrata, maybe even the original Saucony Kinvara. And the reason why this is good for me is because those two shoes have been on my feet in my last three marathons (not at the same time!). The One2 is like a Virrata with a super wide toebox and a less structured upper, and less of a lug-like feeling under the forefoot. I was a bit worried at first that the One2 would feel mushy on the run. They don’t, they actually feel pleasantly springy, but not in a racing-flat kind of way. More like adidas Boost, Skechers Resalyte (midsole material for the GoRun), or maybe a Brooks DNA-BioMogo blend midsole. They feel softer when walking than when running. The midsole is composed of a blend of EVA and Altra A-Bound (latter is the stuff from the sole of the Altra Instinct), and I’m wondering if this combo is what gives the shoe it’s cushy yet somewhat springy feel. The deep flex grooves in the sole of the One2 make for an enjoyable ride for me. The shoe is both longitudinally and torsionally flexible, and gone is the slab-like feel of many of the other Altra shoes I have tried. One drawback of the flex grooves is that they will trap rocks – I’ve pulled several out of my pair, but do not notice them while running. With the change in sole comes a change in purpose for this shoe. The original Altra The One was more a firm racing flat, whereas the One2 is more of a lightweight trainer/distance racer. This isn’t a shoe I’d choose for my next 5K, but it’s a shoe I’d definitely consider for a marathon. I did do a few sprints in them at the end of one of my runs, and they were fine, but top speed is not what this shoe is built for. One attribute of the outsole that might concern some is the lack of rubber under the lateral forefoot. There are patches at the back of the heel and under the big toe, but forefoot strikers may wind up eating the exposed EVA up along the lateral forefoot. There’s a balance between feel and durability though, and I tend to really like running in shoes with lots of exposed midsole(e.g., Skechers). 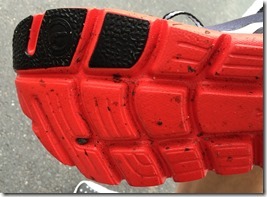 That might be why the sole of the original Kinvara was one of my all-time favorites, and Saucony told me that they were hesitant to add rubber to that area for fear of altering the ride. 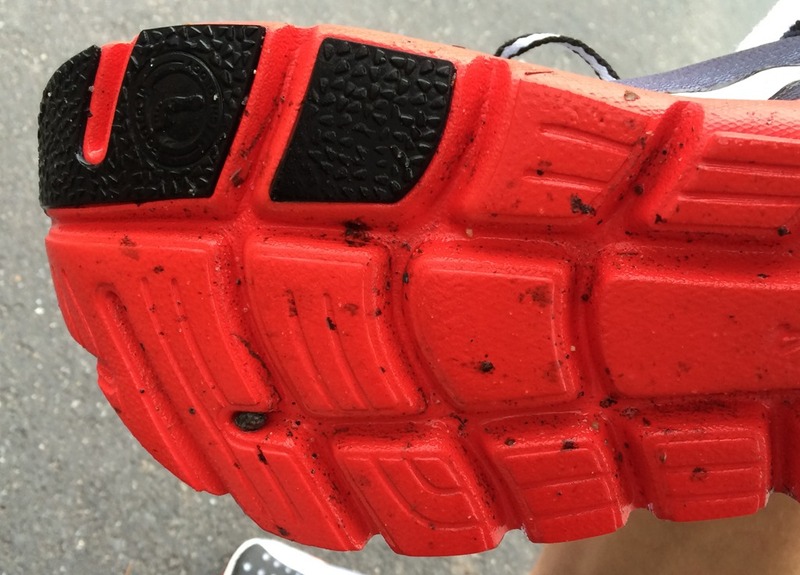 I’m a mild heel striker most of the time, so I can’t comment on forefoot durability, though I’m sure Thomas over at Believe in The Run will touch on this if/when he reviews this shoe (he destroyed the original Kinvara in this area). 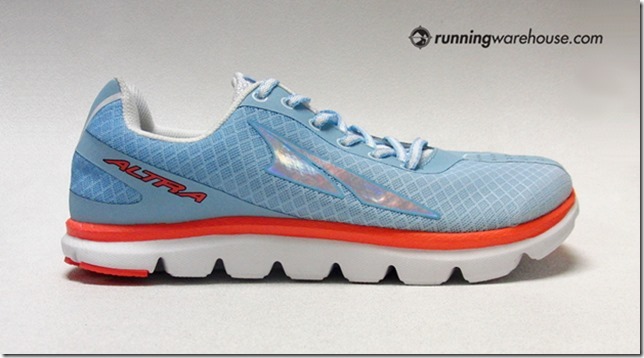 Some are going to hate what Altra has done to The One, but I for one really like the One2. It’s the first Altra shoe that I’d truly consider for a marathon distance race, and it combines softness and flexibility in a way that I have yet to see in any other Altra (I haven’t yet tried the Instinct 2.0). I personally think Altra would have been wiser to release this shoe as a new model and retain The One as a speed shoe/racing flat – I’m not sure of the reason behind their thinking with going the update route instead (Update: just got an email from Golden Harper about this, I think the idea is that the 3-Sum will continue to be the racing flat and will become less a Tri-specific shoe; it is on the same sole as the original The One). It’s surely a shoe that will appeal to a broader audience than the original The One, and I think the hope is that if it and the other new shoes/updates in the Altra lineup sell well, they can start adding back in more niche shoes at the more minimal end. I’d recommend the One2 to anyone looking for a zero drop, cushy shoe for long miles. And if you tried the Saucony Virrata and found it too narrow, the One2 with its Altra foot-shaped last might be worth a shot. 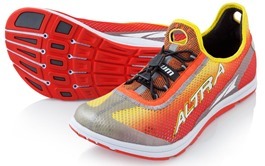 The Altra The One2 will be available in May at an MSRP of $94.99. Side note – if you’re a huge fan of the older Altra shoes, lots of them are available on clearance for $50-$60 at The Clymb. I’m curious – are you excited or upset by the direction Altra is taking with this shoe (or with the direction the brand has gone as a whole)? Thanks for the review Pete. I have been curious about these since I saw the blog post at RW. I agree with your assessment of Altra – great to have a zero drop foot-shaped shoe, but most are like running on hard slabs of rubber. Hockey pucks ! I actually do like the Altra One 1st edition, except the achilles ripper that I sliced off (it was doing some serious damage to my skin in that area. It was still a little stiff, but relatively light and love the foot-shaped shape and zero drop. I rotate them with Skechers Go Bionic. My concern with version 2 is that it might be too soft, but you give me hope. I will definitely give them a try. They are definitely soft, but I’ve enjoyed running in them so far. I have a pretty stiff, short stride though so soft shoes tend to work well for me. Thanks for the review Peter. Even though I thought they looked like bowling shoes (strictly when looking down at them), I think they look pretty good overall and these may eventually make their way into my rotation. I’m really glad to hear that they’re so comparable to the Virrata’s and Kinvara’s. Will you eventually be reviewing the Paradigm? Thanks! I think I have a pair of Paradigms on the way, maybe an Olympus as well. Should have the Paradigm soon. I’m interested. May have to grab a pair of the originals for distances under a marathon, but I can’t wait to see how the one^2 performs! This new model might be consistent with Altra’s transition into “more shoe” but as I indicated last year in my guest review on the original “The One” it was just fine for me at the time as a distance trainer. Really, that leaves only Altra trail models as potential options for me from their product palette. Golden emailed me after I posted and said they are going to be making the 3-Sum with a less Tri-style upper and are keeping the original One/3-Sum sole on it. So I think what’s happening is the 3-Sum and One are being combined as the Altra racing flat, and the One is being freed to become a distance racer. Makes sense since I thought the 3-Sum and One were kind of redundant. I hope they do that. The One was already at my limit of sole thickness. thanks for the info, Pete, that would be a good move on their part, keeps the number of shoes manageable and still has a racing flat. Hmmm. It sounds like I’ll need to give these a shot. I’ve run in the original Instinct and the Instinct 1.5 for a while now. I’ve had lots of the same concerns regarding sole flexibility. But, my main reservation has always been that they were ridiculous to look at. 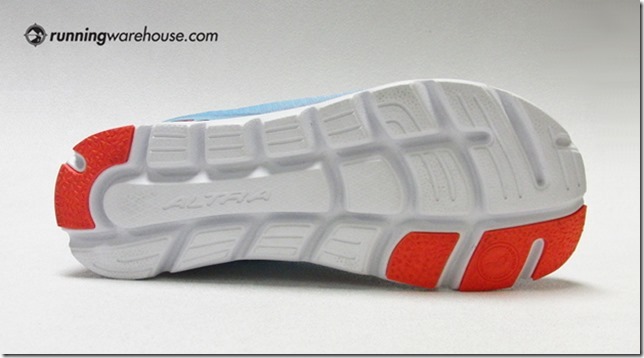 That “ALTRA” logo down the side of the 1.5 is downright embarassing. If I didn’t like the performance so much, I’d run in something else. These look fantastic. I can’t wait to try them out. Over the last year, I’ve done most of my easy runs on paved surfaces in the original instincts (625km) and the narrower, decidedly less durable 1.5s (coaxed almost 500km as they fell apart for the final 200km). The Altras and NB 110s have been my workhorses so what works for Pete often doesn’t work that well for me. All the sudden, Altra don’t make the zero drop shoes with firm cushion and wide toe box that got them going in the first place anymore. The new One looks somewhat appealing when you put it up against something like the NB Freshfoams. I’ll probably give them a shot. It’s weird that all their models are moving in the same softer, more maximal direction. 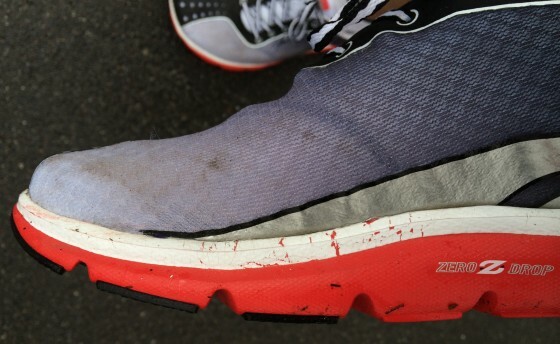 Maybe if they’d fixed the well-known durability issues on the 1.5s sales would’ve improved on that type of shoe. Instead they’re going all-in on softer, bigger cushioning with a shoe that also looks likely to have durability issues. Keeping something along the lines of what originally put your brand on the map is usually a wise choice. Tread carefully Altra. While these One Squared look worth a try, I’ve had similar thoughts as Ryan above. I put in 300 plus miles on the first Instinct and nearly 400 on the Lone Peak. In both cases, I really couldn’t imagine what one would need more cushioning. Of course, there’s nothing wrong in pursuing the maximalist part of the market, but I hope Altra doesn’t do so at the expense of the lightweight/firm end of the spectrum. I think there’s room for both. For me the Instinct wasn’t soft enough, so didn’t work great for long distance, but the One2 are perfect. I have a stiff stride so softer shoes tend to work better. I am a big fan of the provision 1.5, and since I run primarily on Soft dirt/sand here in the bootheel of new mexico, the firmness doesn’t bother me much. I tried the one for racing, but it seemed plank hard, and if I stepped on a rock, I yelped in pain. I like the saucony virrata and the kinvara, but also really like the Altra extra wide toe box. this time, they may have actually created “the one”. As always, it is the quality of your reviews that really help me find the shoes that will work for me…. Thanks Tom. Given you comments, I think this shoe might be a really good fit for you. I know it’s in poor form to knock it before I’ve tried it, but given how perfect The One was for me I have a hard time believing this much deviation is going to be anything but a disappointment. I was really hoping One Point Five would be the same show, with asymmetric lacing… but it wasn’t meant to be. If I’m going to roll the dice on a new shoe, the Skora looks promising. …at least I can probably get more of The One on clearance in a couple months. Watch for the 3-Sum update this Fall, supposed to be similar to the original The One. Interesting reading, thanks. I have a pair of the Torin and the Provisioness, and I probably have about 150 miles on each. They’re both working for me less on longer runs — lately I have a pair of Superfeet blues in my Torin just for the arch support. So now they may not be the shoe for me, long term, although I love the wide forefoot.. Nevertheless, I’m a little worried about the cushioning increase. The Torins have great step-in feel, but they’re really squishy. I don’t think they need more squish. The new Instinct 2.0s make the Torins look like cinder blocks. I will be wearing the original The One in the Boston Marathon in a few weeks and am just beyond disappointed at this redesign. I absolutely adore those shoes. I will be stocking up on the original design. They are apparently redesigning the 3-Sum for Fall – will retain the sole of the original One and have a less Triathlon oriented upper. 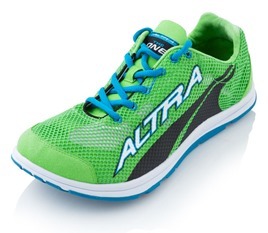 Originally went to Altra specifically for a more cushioned ride on (what seems to be increasing) longer runs. Have fallen in love with the ride, cushioning and wonderful fit. I look forward to this direction with their shoes. I’ll be curious to see what direction Altra goes with their footwear. I had a pair of the original Instinct and put quite a few miles on them. 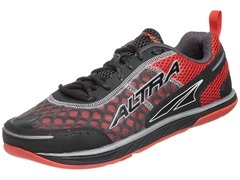 In fact, I would suggest that anyone who has had neuroma issues or gravitates towards shoes with a wider toe box should consider the Altra brand. Like the Saucony Virrata or Kinvara, I like the idea of seeing their shoes provide some level of cushioning. I chuckled at what David said about some of the older models looking ridiculous. My wife called the original Instinct I wore ‘clown shoes’ due to the large toe box. The designs look much improved. These sound interesting. How do they compare to the Mizuno Cursoris? Since they have been discontinued I’m looking for another softer shoe to add to my rotation with my Pearl N1’s. I tried the Virrata 2 but the toe box was just to narrow. I think the Cursoris would be a pretty close comparison. Both very wide in the toebox with a nice softness underfoot. I hadn’t even thought of comparing it to that shoe, but now that you say it it’s probably one of the closest matches I could come up with! Peter, over the past 5 years, I’ve gone from a heel striker to a forefoot striker, from a cushioned shoe to minimalist footwear. I’ve used the NB MR10, then NB MO10, and have run a bit in my LUNA sandals, tested barefoot as well. 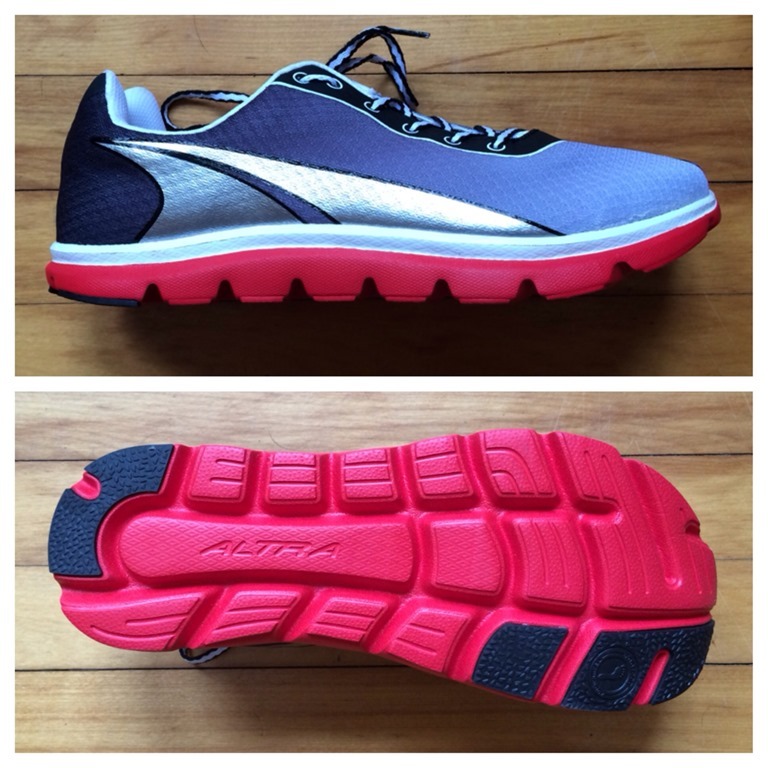 For my trail running, I went from NB1010 to now my Altra Superiors (which I swear by). You are dead on with the feel of these shoes! Due to my feet not being used to narrower shoes anymore, Altra is my only choice. BUT, given I’m so used to little sole underneath my feet when running asphalt, making the right choice is tough. I’ve been using my Superiors on the streets until the trails are clear of winter. How do the ONEsquare compare to the Superior on asphalt? Much softer underfoot compared to the Superior for sure. Superior was previously my favorite Altra, I think the One2 is my new favorite. I’ve been a big fan of Altras (Instinct 1.5, Lone Peak), so may have to check these out. Right now I’m in a weird position–tripped over a root last week and caused some swelling in my foot, so now it hurts in anything that constricts the toe box, even my Instincts. I can just get by in Merrell Bare Access 2s; are the One-squared as roomy? Typo, thanks for pointing it out. I find these to be as roomy if not more roomy than the Instinct or the Bare Access. How did the the shoe fit, in terms of size? Is it true to size? I think my pair are 10.5, which is a half size larger than my typical. Thomas at Believe in the Run suggested half size up as well. But neither of us have final production versions so hard to say for sure. How is the mesh compared to that of the Instinct 1.5? I had the black 1.5 but the breathability was not as good as the Instinct 1. In the Black 1.5 they added a thin layer of fabric behind the mesh which didn’t let air pass through. I had no issues with breathability in the One2 – material was sock like, very nice. 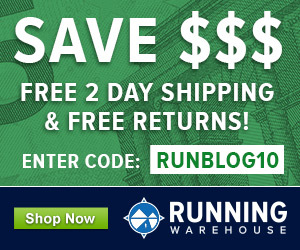 Hi, again, i asked because i read here link to blog.runningwarehouse.com that Altra changed the open mesh of version 1 to a closer mesh. Have you tried to put it in direct light and see it through? The added lining behind the mesh in the Instinct 1.5 was a big disadvantage for me and i am looking for similar shoe with better brethability. Thanks for the review! Its hard to find recent reviews of Altras. I just picked up a pair of Torins 1.5 and have Instinct 2’s on the way. I have been running in Kinvara 3’s for my speed work, and youve got me thinking about One 2’s now as well. My feet run wide (2E) and with Saucony no longer producing Kinvara in widths, its time to look for other shoes. Hoping Altras are the cure. Thanks for a great review Peter. I keep comming back to this wonderfull site. But just wanted to drop my 50 cent about the Altra The One 2. Had my first run ever in an Altra shoe yesterday. And have to say i love the nice fit this shoe have. It have great wide toebox and have a wonderfull sock like feel to the foot. But. This shoe just feel to soft. Its almost like running on a handfull of marshmallows. Normaly i love shoe like NB RC1600, NB MT10, Inov8 Trailroc. So Altra The One 2 have to much more cushning then what iam used to. But the reason why i did give this shoe a try where because i am looking for a road shoe that offer a bit more room and a tad more cushning but still nice firm and have good flex. Altra The One 2 might end up be a good shoe but my first run in this shoe where not love a first run. Thanks for the comment! 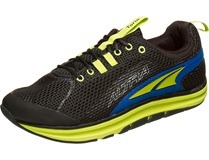 The Altra 3-Sum might be a better match given your preferences. So far so good with these for me. I just did a nice 9 with them and I think they remind me most of my old favorite the Green Silence, the fit, the off-center lacing and tongue and the level of firmness. Good shoe, looking forward to getting some good miles in them. PS And I also think the outsole is very much like the outsole on the GoRun shoes I have, which is holding up nicely after a few hundred miles. Definitely worth a look if you like the Virrata and need a wider toebox. The insole is described as being removable. Is the footbed such that you can run comfortably in these without the insole? IT’s kind of a scratchy mesh material under the insole and there is some stitching, I’d worry a bit about abrasion. Would love any feedback: I have about 200 miles on a pair of these, and have loved them from the outset but now I’m finding my toes slamming into the front of the very unstructured toe box–causing a big blood blister under my middle toe and some pain walking around. Could the shoe be wearing out already? Awesome review, very helpful. I’m waiting for my One2’s to come in the mail and am hoping to wear them for my marathon, so this is helpful. I am new to Altra and just started wearing the Torins for training and love them. I normally wear Brooks Pureconnects for marathons and am hoping this will be a good switch as I didn’t love the changes made with the pureconnect 3’s. Thanks for the insightful review! Now that you mentioned that, I remember feeling the same thing..that was another reason I went with the Superior 1.5….I am totally with you on wanting a flat shoe and I have high arches..let my arches do what my arches are supposed to do is what I say lol !! I was curious what you would say about these since I know you love the Kinvara lol I am not a fan of the Kinvara ( too mushy and they punish my pinkie toes) and these Altra’s reminded me of them, felt very mushy walking around in them. Only ran around the block where the store was..thought about getting them but went with the Superior 1.5 instead….these are still on my radar, interesting what you said about the mush going away during the run.. I am a fan of what Altra is doing but just not found the right match for me yet, I have only done one short run in the Lone Peak 2.0 and it was very bouncy..also felt mushy plus I may be in between sizes on that one..LOVE the Superior 1.5 for walking around and maybe soft trails but I get killed in that one on trails with rocks and gravel…rock plate my $#! I for one am bummed on the direction of the new Altras. I could care less about the “clown shoe” comments some people have, theyre the same guys who are whinging about knee, back and foot pain and are younger than I am. Ive had both versions of the instincts and liked the height, grip and amount of cushion. They are great for working in, casual run and skateboarding a pool or park as well with the grippy soles. Everything now looks like a “roll your ankle in a heart beat” geriatric shoe. Wish they’d just kept the lower and fixed the upper on the Instincts at least. Thats my 2 cents and thanks for your review. I am on a desperate search for a new instinct type shoe. I currently have two pairs of One2s, each pair with about 300 miles on them. I have run a marathon in each pair as well. These are terrific shoes and they are very durable…I expect to get at least 500 miles out of each pair, quite possibly more, as there is very little wear showing (and half of those miles are winter-in-Vermont miles, so they have seen their share of salt, ice and snow). Right out of the box, I was concerned by their sponginess. I run mostly in flats and shoes without much padding and these were “boingy” for lack of a better word. I might have abandoned them, but I was without alternatives for a week, so I stuck with them and I’m glad I did. The springiness subsided and they just became very very comfortable shoes. My toes are completely unjammed and splayed out, and they fit my Chi Running informed stride perfectly. My only issue is the pebble trapping soles. I typically pluck 3-4 stones/cinders out of each shoe after a run (I log a lot of miles on a bike path with a soft pack trail on the side). Usually I am completely unaware that stones are getting a free ride, but occasionally I catch a bigger one and have to stop and dislodge it. This can be unpleasant for my less-than-supple 57-year-old chassis, and this makes me think twice about wearing them in races. Thankfully, my marathons with the One2s have gone very well and they are definitely my shoe of choice now for long runs. My second pair had only about 12 miles on them when I marathoned in them, and it couldn’t have gone better. I now have two pairs still in the box now and am set for 2015! I have several pairs of Altra shoes. The Superior is the best for me-wider in the toe box, even than pretty much all of the other Altra shoes. It looks to me like slowly Altra is turning their shoes to be like all of the other running shoes. I feel that the foot in the shoes tends to slide to the outside of the shoe, because the shoes are soft, so that the foot still is compressed at the outside of the toe box. The shoes need to be more shallow over the area between the top of the arch, and where the toes start. NOT NARROWER there, but less height, and NOT compressed over the arch. I would also say that the wide toe box is great, but please give me narrow, until it flairs out at the toes, so that the outside (small toes) doesn’t squash against the outside of the sh Compressing the arch area to tighten the shoe actually can hurt! Kind of like loafers, where the shoes stay on well because of the band across that area between the lower arch and the top of the toes-works well, with no toe squashing, and no pulling the laces too tight over the arch.Also A size 8.5 that I bought, is shorter than the size 8 that I have.